It Will Never Be Over ... is the latest edition of YHO which can be downloaded free for all here. 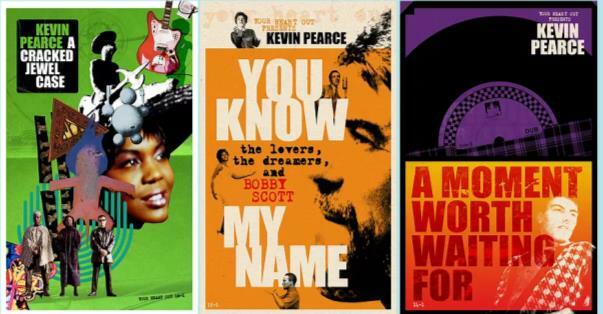 It is a riotous romp through the UK's soul undergrowth and pop flowerbeds of the late '60s and early '70s. Right at the heart of this issue is Vicki Wickham's fascinating label Toast, which was active for a short while in the late '60s. There were some heavy hitters involved with the recordings, including the arrangers Ian Green and Derek Wadsworth. 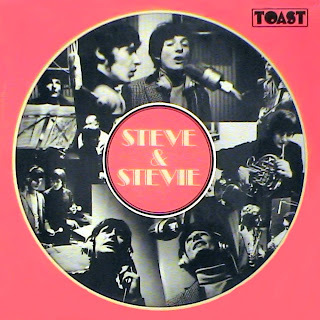 Gerry Shury, one of the early YHO heroes, was also involved, doing the arrangements for the Steve & Stevie LP Toast put out. This was a slightly atypical Toast release which generally concentrated on the soul side. The Steve & Stevie sound was rather more baroque, much closer to the Beatles and Bee Gees than Cadet or Calla. Steve and Stevie were the Australian duo Steve Kipner and Steve Groves who moved to London to seek success. The closeness to the Bee Gees sound, I guess, is understandable as Steve Kipner's dad Nat was very important in the story of the Brothers Gibb. Nat also relocated to London and worked for Major Minor, Toast's parent company, and it's pure speculation but that could have a lot to do with the Steve and Stevie coming out on Vicki Wickham's label. The Steve and Stevie LP is gorgeous, and Gerry Shury's arrangements on tracks like Sunshine On Snow are totally wonderful. The duo were whisked away by the Robert Stigwood Organisation at the behest of the Bee Gees, and evolved into Tin Tin who occasionally had a bit more of an edge to their sound and it's easy to see their two LPs appealing to fans of Badfinger, Left Banke, Raspberries. Gerry Shury was involved again with orchestral arrangements on the two Tin Tin LPs and this had a lot to do with him being invited to work on the Bee Gees' 2 Years On LP. Right at the heart of this issue is the fascinating label Fresh Air which seems to have been active in 1974 and 1975, and put out around 30 singles and at least four LPs. The man behind the label was legendary industry insider Tony Hall, one of the most significant figures in British popular music. Tony's background was in jazz, and in the late '50s he ran the Tempo label for Decca and was responsible for recording the best of the modernists active on the British jazz scene, such as Dizzy Reece, Victor Feldman, Tubby Hayes and Tony Crombie. While Dizzy and Victor went to the States to chase their dreams, Tubby stayed in London as hero to some and an unknown to many more. His reputation has grown thanks to a series of reissues and so on. YouTube has helped too, revealing some great footage of Tubby's bands over the years. The general consensus now is that Tubby's 1967 set Mexican Green is his best work. 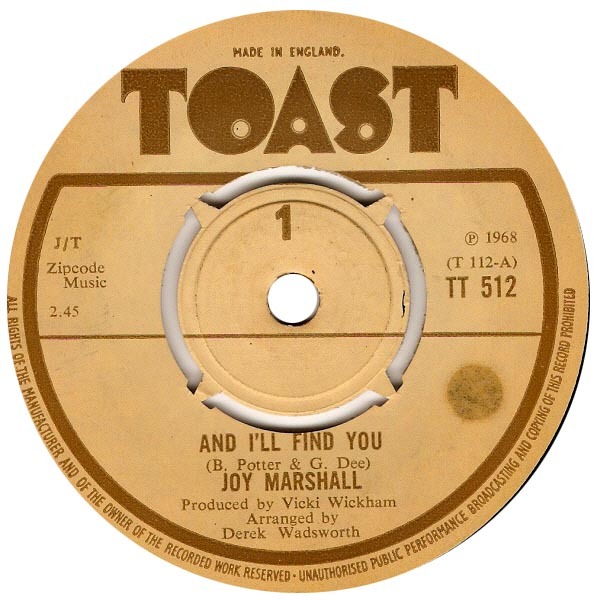 It features a lovely song, A Dedication to Joy, for his girlfriend at the time Joy Marshall. 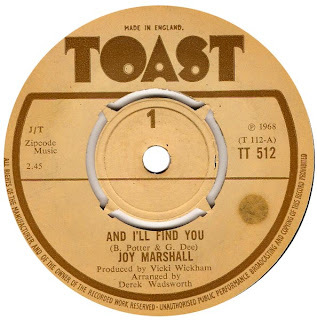 Joy was an American singer, who moved to England in the early '60s, worked with Johnny Dankworth's orchestra, appeared in Lionel Bart's Maggie May, recorded some sides for Ember and Decca, and had a minor hit with The More I See You. Her Decca releases include the majestic and very dramatic beat ballad Heartaches (Hurry On By) which just oozes class like a Nancy Wilson soul side. Right at the heart of this issue is the fascinating label Fresh Air which seems to have been active in 1974 and 1975, and put out around 30 singles and at least four LPs. The man behind the label was legendary industry insider Tony Hall, one of the most significant figures in British popular music. 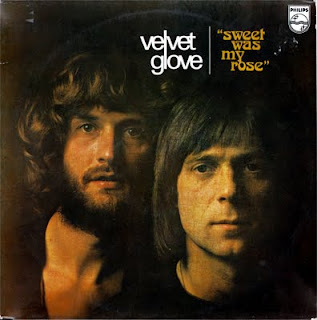 Fresh Air didn't have any hits in the UK, but had considerable success abroad, particularly with Velvet Glove's Sweet Was My Rose which was a massive success on the Continent. It is one of those songs that will seem curiously familiar to many people. It blends, say, The Band's country rock with Cook and Greenaway earworm qualities. It's also a great example of the '70s passion for 'story' songs, particularly those with a touch of tragedy about them, like Hot Chocolate's Emma. Right at the heart of this issue is the fascinating label Fresh Air which seems to have been active in 1974 and 1975, and was run by legendary industry insider Tony Hall. The label put out four or so LPs, and curiously these are all pretty much out of circulation, even if shall we say more unofficial circles. Among these was a 1975 recording by Mike Cooper, Life and Death in Paradise, which featured Mike Osborne, Louis Moholo and Harry Miller among the line-up. Tony Hall had managed to persuade Mike to record again against a couple of years or so of self-exile in Spain following a falling out with the Pye organisation. The disagreement had been about the presentation of Mike's fantastic 1971 recordings. 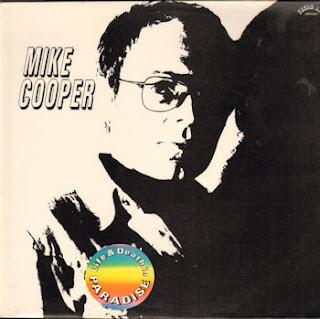 Mike wanted to release them as a double LP set, but Pye insisted on issuing them as discrete editions. The first to appear was Places I Know, which showcases Mike in a singer-songwriter role, with a strong country rock feel along the lines of Bob Dylan's New Morning and the Burritos. The songs are strong, but it's a real bonus that Mike Gibbs is involved with the occasional orchestral arrangement (which will particularly interest anyone who loves Bill Fays debut). Pye issued The Machine Gun Company set later which showcased Mike and his group exploring a bit more of a Tim Buckley Lorca or Loaded-era Velvets sound, with some nice free jazz touches. 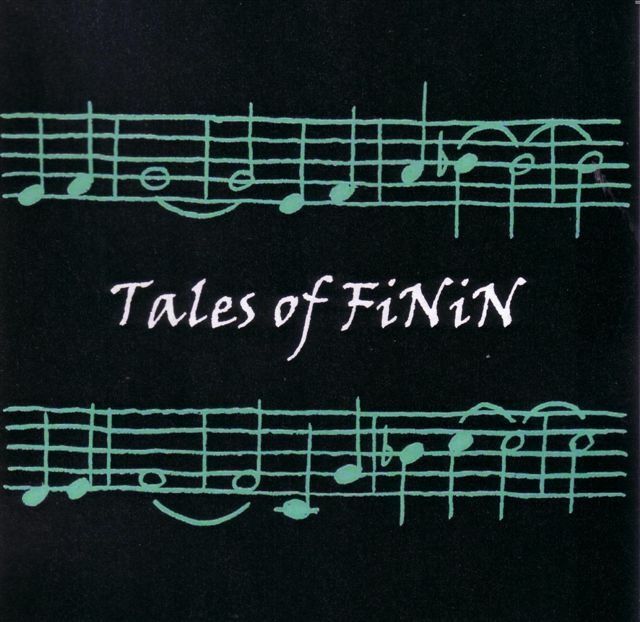 These two LPs were issued on one CD by BGO in the '90s but oddly even this is not generally available nowadays. There's not much on YouTube either, except the gorgeous track The Singing Tree. Right at the heart of this issue is the fascinating label Fresh Air which seems to have been active in 1974 and 1975, and put out around 30 singles and at least four LPs. The man behind the label was legendary industry insider Tony Hall, one of the most significant figures in British popular music. His story needs telling in-depth, and it goes from running the Tempo label for Decca in the late '50s, recording the best modern jazz players active in Britain at the time (Tubby Hayes, Dizzy Reece, etc.) to being a DJ on Radio Luxembourg, writing for Record Mirror, doing publicity and promotions for Decca and its stable in the '60s (and being a real advocate for American soul sounds) to discovering and nurturing the Real Thing, Loose Ends, and so on. Fresh Air doesn't seem to have had any hits in the UK but in its short existence it does seem to have been a great example of the era's 'pop without frontiers' outlook. The first release seems to have been by the reggae singer Shark Wilson, and it was produced by Lieber & Stoller (fresh from success with Stealer's Wheel?). One side of this single, Too Much Pain, is posted on YouTube. And remember this was before the 'crossover' success of Ken Boothe and John Holt later in 1974. A glance at the Fresh Air discography reveals all sorts of gems, from lost LPs by Ram John Holder to names perhaps known only to curious collectors, such as Black Faith, Trax, and Richard Henry Dee. Others may be better known for their later activities. The Abraham Ali who released the lovely If You Need Me and is I believe now better known as the Mersey playwright Dhanil Ali. And there's Nola Fontaine who has had a colourful career. A post-Fresh Air single of hers, produced by Trevor Horn, has become a favourite of cosmic disco lovers. It does seem quite incredible that Fresh Air didn't have a hit with either of the single they put out by Ellie (Ellie Hope and her sisters). The first of these irresistible 45s, Tip Of My Tongue, was written by the fantastic team of Lynsey De Paul and Barry Blue. 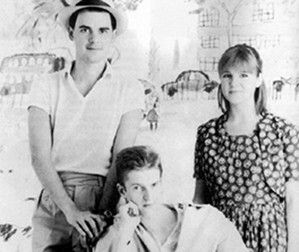 The second one, the smooth disco of My Love Is Your Love, was written for the sisters by Mud's Rob Davis and Ray Stiles. Mud also recorded the song as a b-side in 1975 - a hint of what was to come with Shake It Down in 1976. The flip of the second Ellie was composed by Christine Hope and produced by Gerry Shury who gives it a really lovely funky feel along the lines of his work with Biddu's organisation at the time. 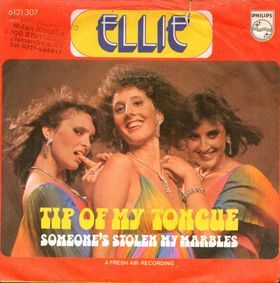 Ellie Hope did later have success with Liquid Gold of Dance Yourself Dizzy fame. Oh and for anyone who cannot resist mentioning Groovejet when the words Rob Davis and disco are mentioned let's throw Lucky, a solo Ellie Hope single from 1983, into the pot for some fun. This issue starts with stumbling across a YouTube posting of the British soul treasure Joe E. Young & the Toniks' Flower In My Hand on the Toast label and setting off on an expedition to find out more about Vicki Wickham's boutique label. 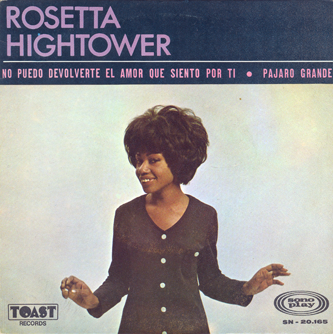 This soon led me on to gems like Rosetta Hightower's lethal version of Big Bird and The Coins' cover of Love Power. Joe E. Young himself would be better known as Colin Young, lead singer with The Foundations, kings of British bubblegum soul, courtesy of Tony Macaulay's compositions. But there was another side to the group, even on the flip of Build Me Up Buttercup where they had a go at stranger psychedelic material of their own on the aptly titled New Direction. One of the later singles, too, was Colin's own composition, the heavier I'm Going To Be A Rich Man. The flip of Colin's own solo single, You're No Good, is another track that's taken on a life of its own among collectors of psychedelic soul sounds. The cover star of this issue is Barry St. John who had the greatest voice of all the British girls in the '60s if not the best of luck. She could sound sophisticated and sultry, and she could come across fierce and ferocious. While she was perhaps too grrritty to be a success commercially some of her recordings went on to become Northern Soul favourites, such as Everything I Touch Turns To Tears and Hey Boy. 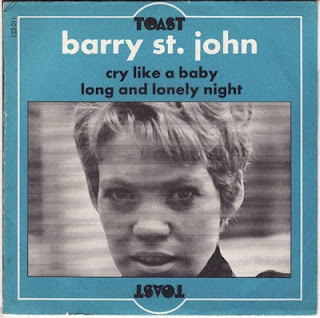 Barry did at least have the benefit of working with some of the more adventurous arrangers and producers, such as Andrew Loog Oldham, David Whitaker, Mike Leander and Mickie Most. It Will Never Be Over ... is the latest edition of YHO which can be downloaded free for all here. It is a riotous romp through the UK's soul undergrowth and pop flowerbeds of the late '60s and early '70s. Featured along the way are the likes of Vicki Wickham's Toast and Tony Hall's Fresh Air labels, Rosetta Hightower and Ian Green, Labi Siffre and Gordon Beck, Doris Troy and Madeline Bell, Alan Parker and Herbie Flowers, Blue Mink and the Brotherhood of Man, Fox and Velvet Glove, Mike Cooper and Mandy More, Tubby Hayes and Joy Marshall, Gerry Shury and Lee Vanderbilt, Colin Young and the Foundations, Barry St. John and the Butterfly Ball. One thing leads to another, and that is exactly why "it will never be over ...". Please help to spread the word. 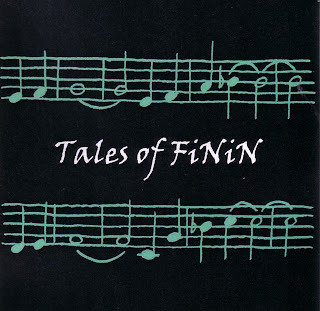 The title of this issue is adapted from words used in or as a title of songs by Julie. I love the words 'rainsong' and 'painsong'. Rain, oddly, intriguingly, seems to be a recurring motif in Julie's lyrics or poetry. If you look back 40 years to Lullaby from the 1969 set this deceptively simple and beautiful song, which is just Julie with Brian Godding on guitar, is about sitting watch the rain fall through a window and feeling warm and cosy. There are few people who could capture something so fundamental so perfectly. While doing some background reading for this issue I came across a review in International Times (IT) of a concert Julie took part in on 27 February 1970 at The Roundhouse, London. This was organised by Peter Swales (of Sahara publishing/records) and he billed it as The New Day concert. The review itself was gloriously over the top, and fired by the optimism the new decade brought with it. If I had a time machine this very definitely would be one event I'd want to go back and visit. From what I can piece together Jess Roden's Bronco opened proceedings, and were followed by Peter Swales' proteges Gypsy, who he managed to get signed to United Artists. Gypsy released a couple of great LPs at the start of the '70s and almost had a bit of a hit on their hands with Changes Coming. Gary Farr and Kevin Westlake were up next to do a set. They'd been writing, recording and hanging out together for a while, and some of Gary's recordings with support from Mighty Baby at the time still sound simply magical. Gary's LP Take Something With You was produced immaculately by Reggie King, and features some real classics like Don't Know Why You Bother Child. Reggie himself was up next, and by rights should have been backed by his colleagues in Mighty Baby but something went awry at the last moment, and he was instead supported by the guys from B.B. Blunder or the Blossom Toes if you like. This seems just about typical of Reggie's luck. I like to assume this is the show that the photo of Reggie with the B.B. Blunder guys. Reggie played and hung out with Brian Godding, Brian Belshaw etc. quite a bit at this time, and they released a single together of Little Boy and 10,000 Miles. Julie Driscoll was the headline act on the night, and her set sounds astonishing. Some of it was just Julie solo, some of it was just with Brian Godding on guitar, and the rest with the full B.B. 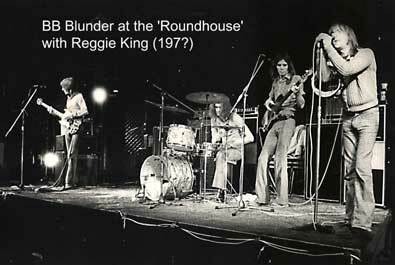 Blunder line-up. The climax of the concert seems to have been Julie leading an emotional rendition of the Blunder song that gave the concert its name and tone. This was from the Worker's Playtime LP which featured Julie quite strongly, particularly on the glorious Seed. This issue features a fair bit on matters relating to Simon Booth and Working Week/Weekend. This is primarily because I first came across Julie using the name Tippetts when she sang on the second Working Week single, the sultry Storm of Light. It wasn't the only time Julie sang with Working Week: she's featured on the extraordinary 12" Stella Marina with Jalal from the Last Poets. And with Keith Tippett she contributes to the final WW LP, Fire In The Mountain. Interestingly, despite all the post-punk revisionism, Simon Booth really has not been given the credit for being a genuine pioneer. It's odd that some of the Barthes Boys persist in using phrases like 'faux jazz'. Without getting into a debate about authenticity and what that means and what it's worth it seems strange to dismiss Working Week and Weekend's jazz credentials. You only have to look at the musicians featured. Saxophonist Larry Stabbins, a cornerstone of both groups, had links with Keith Tippett going back to the start of the '70s via Centipede's wonderful Septober Energy. And Keith also played with Weekend, appearing on the Live At Ronnie Scott's set.